The teddies here remind me of when my kids were born and each were given a teddy to cuddle till they eventually broke…boys just love their teddies, don’t they? I loved putting this card together…I got some inspiration from blogworld with the cutout pieces of card (and apologies to the wonderful person who did this, I can’t remember your blog to give you the credit) and some from an ad on tv which showed a slash of colour being ripped across the screen…so I picked the colours that I like to work with (broken china, chipped sapphire and peeled paint) and put those two ideas into this card. The techniques that I love to work with are used in this card…ripping, masking, embossing, working magic with ranger distress inks and spraying with perfect pearls mist! 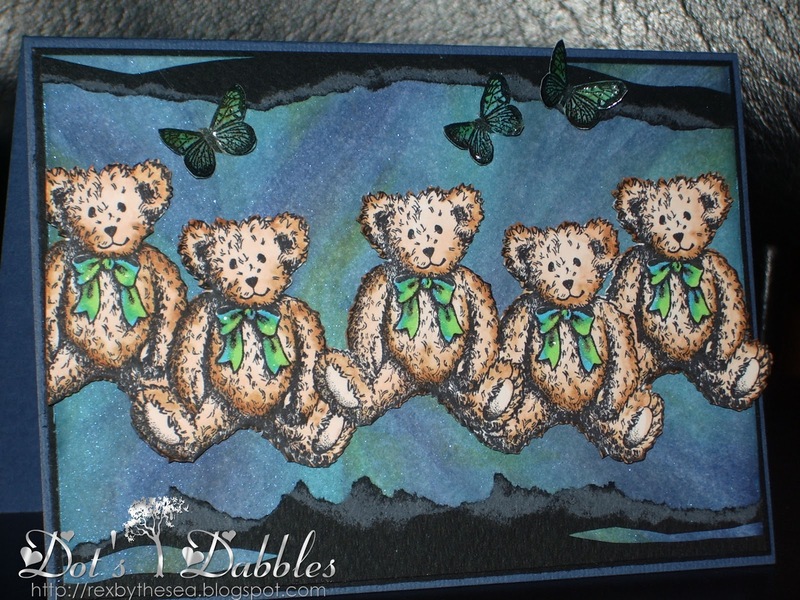 The bears are gorgeous, just a simple stamp (from Inkadinkado) that has been masked and stamped five times. I have then coloured them with copics (E000, E00, E11, E35) and the bow ties are in BG05 and YG06 – I was experimenting and found that the two colours really worked well together. The butterflies are clear embossed on black ink on rich blue papers, and I then added some YG06 in the upper bits to blend it in with the overall feel of the card. Oh, and the background inking is oversprayed with perfect pearls mist..blue. This little bear is adorable – 5 times over! Sweet card! Your teddy bear card is adorable! Great job on the challenges. Fabulous card `i love it and those teddy" are just so cuddly ! Adorable card! The teddies remind me very much of the one I was given when I was born. I still have him, though he's very threadbare now! Thank you for sharing your lovely card with us at Sir Stampalot this month. Thank you for joining us at Stampalot this month, good luck and hope to see you again. This is a beautiful card. The background you have created looks wonderful. My boy loves his teddies too! Thank you for joining our challenge at Sir Stampalot this month. A super cute card! 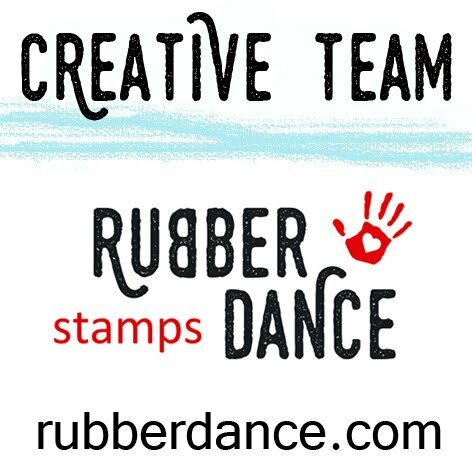 Thanks for joining us at Sir stampalot this month and good luck! Super cute card. Thanks for joining us at Sir Stampalot this month. Cute teddybears! Thank you for playing along with Pals Paper Arts. Thanks for joining in our "Childhood memories" theme at Southern Girls. I have some candy on my blog if you want to pop on over and have a look. I love the teddies. They are very fun and adorable.